Give your child poise, grace, confidence, and memories that will last a lifetime. and an Art of Mind! 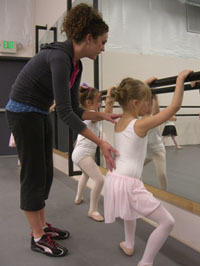 Tri-Cities Academy of Ballet's curriculum nurtures both mind and body. Based on a carefully developed syllabus derived from the Vaganova (Russian) and Cecchetti (Italian) ballet traditions, it provides for the logical progression of training that embraces the development of the dancer from the first day of class to the emergence of the professional. The syllabus gives careful consideration to the anatomical capabilities and limitations of each individual dancer, as correct training is vital to develop a body with superior coordination and flexibility without injury. 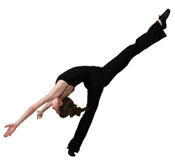 Since ballet allows the dancer to adapt to any form of dance and other dance disciplines enhance the artistry of the ballet student, quality instruction in jazz, musical theatre, and tap is also available. Tri-Cities Academy of Ballet provides a true dance education that takes students to the very limits of their own desires and abilities. Pre-Ballet program is specially designed to provide children between 3 and 5 years of age with a strong foundation in dance and movement. Click on the screen to watch a video sample of our Pre-Ballet program. It teaches the young dancer the basic elements of movement and dance: space and how we relate to it, both as an individual and as a member of a group; basic loco motor skills; musical rhythm, beat and time; opposites and directions; and some elementary positions of ballet. Integrated with these physical concepts are self-awareness, creative expression, imagination, teamwork, and basic body/health awareness. Tap is an integral part of our program. Fifteen minutes of every Pre-Ballet class is devoted to nurturing musicality through the rhythms and patterns of Tap dance. Through participation in these classes, students also learn the basics of classroom behavior and classroom etiquette, which remain the same throughout their dancing years. These concepts include learning how to take turns, following another dancer or leading the way, waiting patiently, working together with others, and having a positive attitude. Educators now know that training young children in the concepts of movement sequencing, patterning, and spatial relationships lays a strong foundation for the later development of reading, mathematics, and other educational skills. Children in our Pre-Ballet program work actively in all of these areas. The placement of students into levels Beginning Blue through Ballet Gray is based solely on ability, not age. Students are placed in the level where it is felt they will benefit the most. 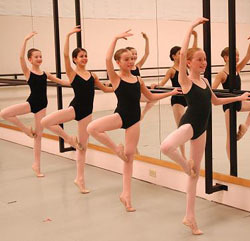 Even though the Tri-Cities Academy of Ballet uses a specific syllabus derived from a combination of the Italian, Russian, and American syllabi, the levels are taught according to the ability of the students in each level and not necessarily according to a pre-determined syllabus for a specific level.